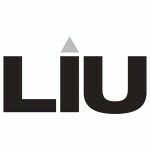 LIU Global (Long Island University Global) is a unique 4 year study abroad program where students receive a BA in Global Studies with a concentration in an area of their choice. LIU Global has several centers around the world where students can choose to go during their first 3 years. During the senior year, students choose a topic of interest and country to travel where they conduct an independent study research project before finishing their degree at the LIU Brooklyn campus in New York. The LIU Global China Center is located in Hangzhou, Zhejiang province on the Zhejiang University Yuquan campus.